In Episode 51 we briefly discussed the reserved list, and mentioned that we weren’t really qualified to make a comment on the legality of it or otherwise. Corentin Dolivet, one of our lovely listeners, is training to be a solicitor, and emailed in his own view of the reserved list. He’s requested that it should be taken ‘with a pinch of salt’, but it certainly offers a view that we weren’t able to give on the cast. In common law, misstatements and misrepresentation represent an important part of contracts and torts. Before we examine the condition of misstatements and misrepresentations, let’s just focus on the potential parties in this problem. Wizards has produced a statement whereby they undertake not to reprint cards from the reserved list. It was a public statement likely to come to the attention of: past consumers already owners of the listed cards, present consumers investing into eternal formats, resellers dealing with second hand market. An action in tort has to be considered from the point of view of all the “parties” without contractual relationship with Wizards, i.e. past consumers that previously purchased cards now on the reserved list, and maybe pure second hand dealer shop or in regards that part of their business. An action for negligent misstatement in tort arises where Party A has (1)carelessly made a (2) statement to Party B, where the (3) relationship between the parties is such that Party A owes Party B a duty of care. To put it another way, responsibility for negligent misstatements is imposed only if they were made in circumstances that made it reasonable to rely on them. I will not consider pure deceit, as it would imply malice from Wizards, which seems unreasonable and very hard to prove. 2 and 1 : We do have a statement, and one could argue that because Wizards have been adamant they would not go back on their promise, doing so now would imply the first statement has been made carelessly, given its financial consequences. Problem is, statement must be a statement of fact to potentially be considered a misrepresentation. The essence of this tort is to protect persons reasonably acting upon an expert’s advise, not to bind companies or to create contract where there is no consideration, or never to be able to depart from their shared intention. So I highly doubt this could be actionable. A statement of intention will be important when we will considerer the misrepresentation and the contract. Has Wizards “voluntarily assumed responsibility” for the recipient acting on this statement? Is it fair, just and reasonable for the person to whom a statement has been made to rely on that statement? So it is not absolutely crazy to consider suing Wizards in tort, although case law does not recognize misstatement of intention for the moment. I did not discuss the extent of the damages to consider, as I will discuss it in the next part. A misrepresentation is a (2) false statement of fact or law which (3) induces the representee to enter a (1) contract. Where a statement made during the course of negotiations is classed as a representation rather than a term an action for misrepresentation may be availablewhere the statement turns out to be untrue. There are three types of misrepresentation: innocent misrepresentation, negligent misrepresentation and fraudulent misrepresentation. We will not consider the latest for the same reason we did not focus on deceit. The affect of a finding of misrepresentation is the contract isvoidable ie the contract exists but may be set aside by the representee. The remedy available depends on the type of misrepresentation, but generally consists of rescission and or damages. 1 : So first, we need contracts. We can consider, limitations aside, all the contracts made between consumers and retailers (the definition is any contract, not a contract made with the representor) for magic cards on that basis i.e. 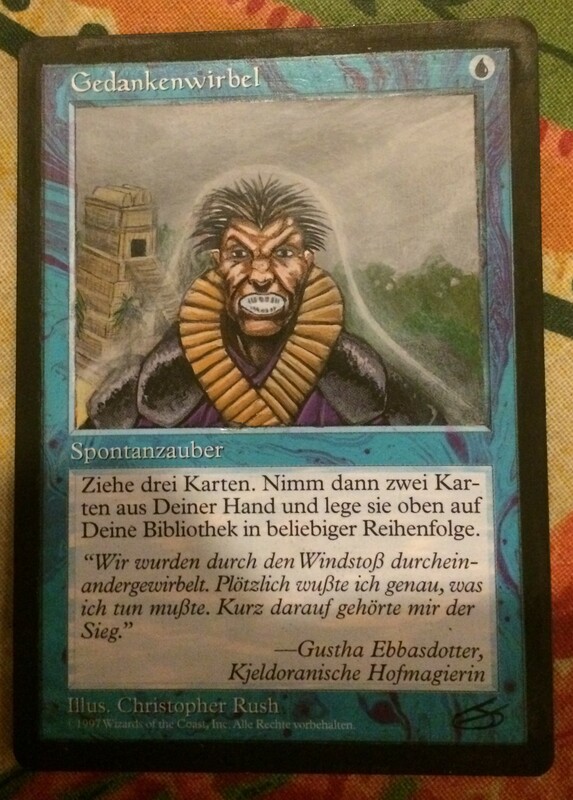 assuming some cards never to be reprinted and taking the eternal format into account on that basis, but most importantly contracts made between players themselves, on the basis that a cards on the restricted list would never be printed again and setting the price accordingly, or finally contracts between second hand dealers and players. 2 : Then we need false statement of fact or law. Case law tells us that a statement of opinion may amount to an actionable misrep where the representor was in a position to know the facts. But, and more precisely, a statement as to future intent can not amount to a misrep unless the representor had no intention of carrying out the stated intent. That’s a tough one, as Wizards did stick to their statement for many years. If we look at the case from which this rule was discovered, we can tell that the false intention must have been known from the very start i.e. they never wanted to stop printing the reserved cards. Should Wizards decide to change their policy, o one could argue that they did by malice, or recklessly. As for (3) and damages, I think we can accept the fact that the price of those staples is in part caused by this policy, and that the potential loss for big second hand dealers like Starcity would be within the scope of the foreseeable loss a representee can claim for. As I understand common law (in UK at least) and the current case law, there would be no real problem for Wizards should they change their policy; although I can understand that cases of companies suing for financial losses would not be absolutely meritless. We go over Lands’ strategies against various deck types, look at a few sample hands and go through a situation kindly donated by one of our listeners! Hello. We return with part 2 of our brainstorm special. After fighting some technical issues, we debrief our last win-a-duel tournament, and bring you some brainstorm situations hot off the press! Thanks for all the suggestions and situations guys, it was really helpful in finishing this two-parter off. Also – forgive the ramblings, I think StuT mixed up a few of the cards in the brainstorming hands. But bear with it. I think the analysis is good. We need your situations to talk about for the second part of the Brainstorm Episode. If you can think of a question you’d like to ask us, or a particular situation that you think would be interesting to discuss – let us know! You can do that on twitter (@LegacyBreakfast), on here, by email (legacybreakfast@gmail.com) or on Facebook. A look forward to the upcoming GP in New Jersey, and our take on what the top decks might be, how to adjust to the new wave of delver based decks. We hope that it comes out in time to be useful to all the awesome people who are going! 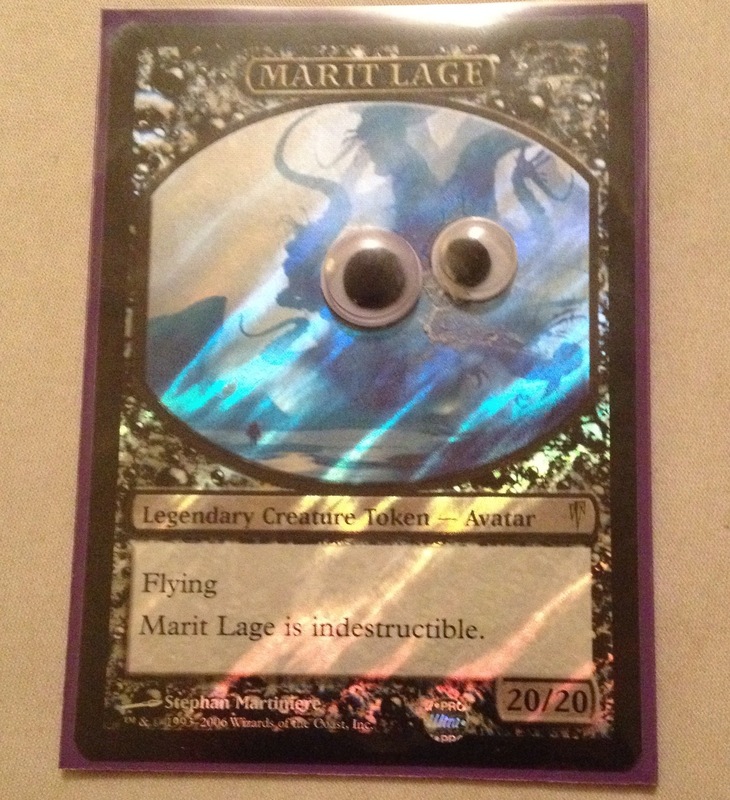 Well guys and gals, its been over a year since we’ve been giving you some (sometimes :)) high quality legacy suggestions, deck techs, guest speakers, random monsters, card spotlights, set reviews and rambling off topic stories. So thank you everyone for the support/emails/listening! Stu P. was so excited by this, that he decided to celebrate by getting married (to Heather, from episode 1). Soooo we’re going to have a few weeks off so he can get married, and then settle in to his new life without having to rack his brain for this weeks monster of the week. So congrats to them both, and we’ll see you all soon! Yeah, we finally joined the 21st century. Pun suggestion: Yxnay on the Ourneyjay? As you probably know from listening to Episode 26, we’re running a competition to win a James Griffin-Altered Brainstorm! In June we’ll select one random reviewer, and sent them the card. Please give us honest feedback – we’re not asking for a five star review (although it would be nice…).